If you are looking for something special, something more than the same jewellery everyone else is wearing, something that is more about you, click here to contact me. 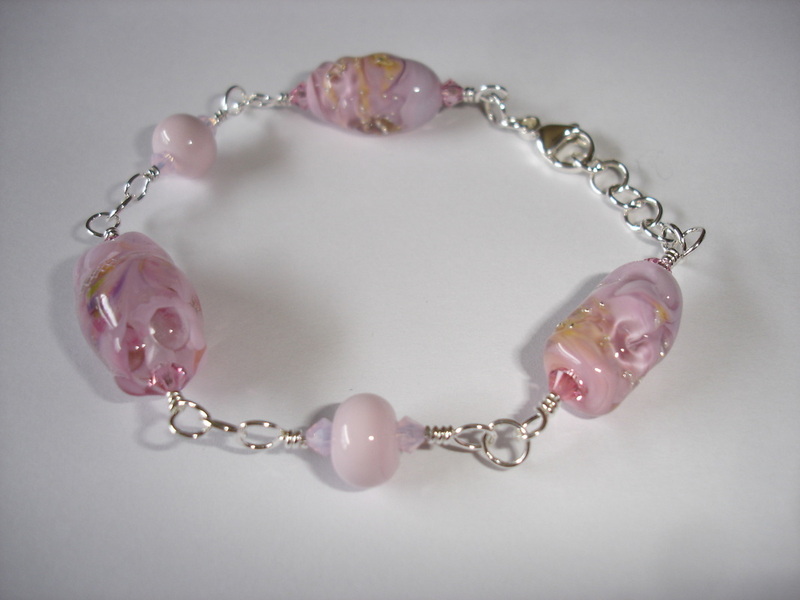 This brac﻿elet features special pink lampwork beads I made myself. 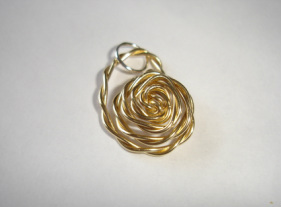 There are swirls and also silver mesh ins﻿ide. The bracelet was one of my Pink Hope bracelets made in support of Breast Cancer awareness. Jennifer loved the bracelet but need some adjustments made due to her own health conditions. So I remade the bracelet just for her. Jennifer has her own business. She creates beautiful little tutus and headpieces for babies and little ones, and always has a smile on her face in spite of s﻿ome physical challenges. She is an inspiration! 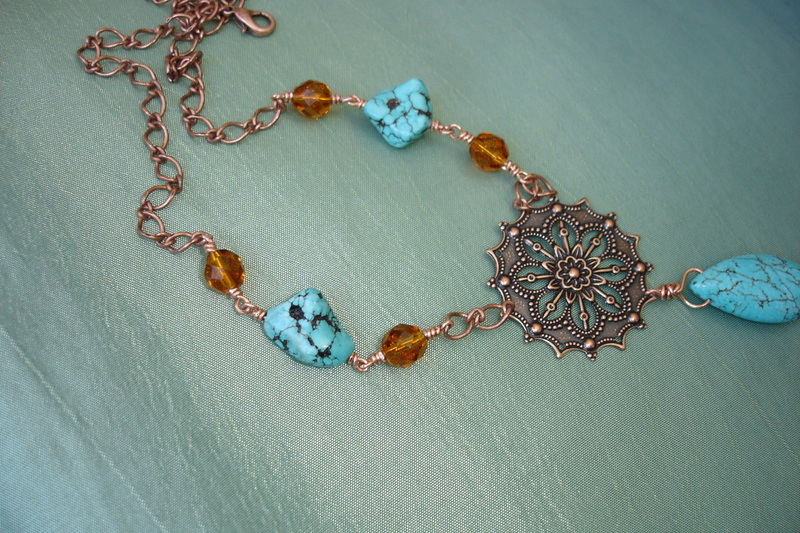 ﻿﻿﻿This copper turquoise necklace with amber accents was designed for a very good friend of mine. The materials and colours were inspired by Mexico and were chosen to compliment her red hair and beautiful tan. 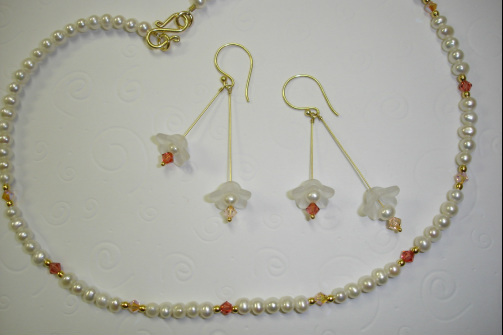 ﻿This wedding set is delicate, yet elegant with freshwater pearls, salmon and peach-coloured Swarovski crystals, frosted flower caps, and Vermeil clasp and earwires. The necklace and earrings were designed for a very good friend, to reflect her personality, match her bouquet and also incorporate her special requirements regarding metal. Purchases are processed through Paypal.